Utah House Speaker Greg Hughes and Sen. Jim Dabakis unveil a compromise for the future inland port in Salt Lake City. Two top Utah lawmakers unveiled a compromise for a planned international trade hub in Salt Lake City’s northwest quadrant on Tuesday — a project the state is moving ahead on despite objections by city leaders. Republican House Speaker Greg Hughes and Democratic state Sen. Jim Dabakis called the press conference to discuss “a compromise framework” for the controversial inland port. 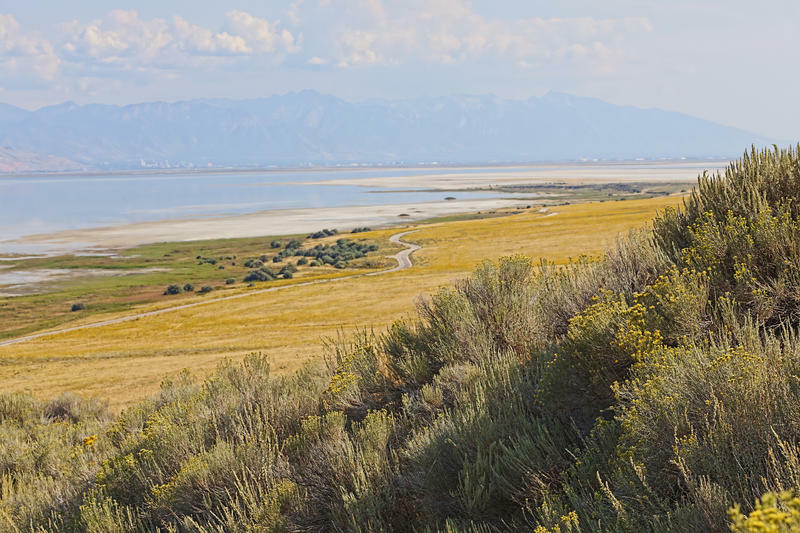 The state is planning on taking control of nearly 20,000 acres of land in northwest Salt Lake City to build a land-based commercial hub connecting trains, planes and trucks. Dabakis said it’s no longer a question of whether the port will move forward. Dabakis sketched out a few bullet points aimed at resolving tensions between Salt Lake City and the state over over land use and taxing authority. City officials say the bill passed during the legislative session stripped most of this authority from them and handed it over to an 11-member board. House Speaker Greg Hughes said nothing in the framework is set in stone, but would create room for dialogue ahead of the Port Authority’s first meeting. “We’re showing you that agreement can occur," he said. "We’re talking about areas that I particularly would not advocate for myself but am looking to find that common ground so that we work together." But some Salt Lake lawmakers were caught off guard by the press conference, which excluded several representatives of the city's westside. In a volley of Tweets after the press conference, Rep. Angela Romero, D-Salt Lake, questioned why Dabakis hadn't invited more local lawmakers to the table. Wrong! I’m glad the 2 of you met & discussed ways to identify solutions. I’m w/ you. But why not brief us? Why hold a conference? @SenatorLuz & @SHollinsD23 have solutions & have been meeting w/ community + stakeholders. Please don’t #mansplain me. David Litvack, deputy chief of staff for Salt Lake City Mayor Jackie Biskupski, said they'd like to avoid litigation if possible but need to see more details of the plan. He attended the press conference along with several other members of the Salt Lake City Council. “The devil’s always in the details and until we see what this looks like in writing, what this looks like in legislation and how it plays out — and the implementation of it — then we will be able to make some determination if it meets those objectives of land use and tax increment," he said. Hughes and Dabakis were also peppered with several questions by concerned citizens about air quality and pollution. Dorothy Owen, chair of the Westpointe Community Council, one of the neighborhoods within the new port boundary, said she’s hopeful they can still get answers on some of the project’s details. “People need to realize that this is not a done deal," she said. "It is our job as community councils to remember that this is government by the people, not government by intimidation." Hughes also defended appointing himself to the new Inland Port Authority Board, saying he has the right experience. The board will hold its first meeting on June 18 at the state Capitol. Utah lawmakers want to create a commercial trading hub in Salt Lake City. They approved a bill late in the legislative session to oversee that and broader development of 20,000 acres in the city’s northwest quadrant. Utah will get an inland port authority to oversee development of a commercial trade hub in Northwest Salt Lake City. Gov. 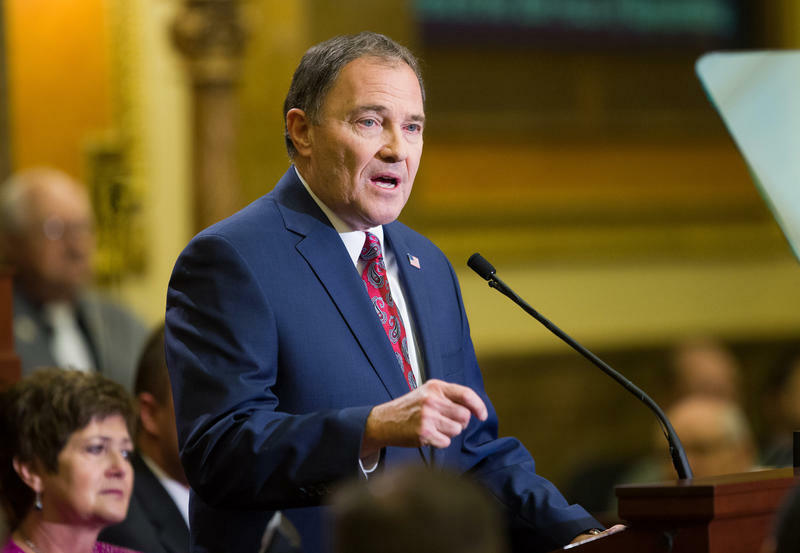 Gary Herbert signed the legislation on Friday.